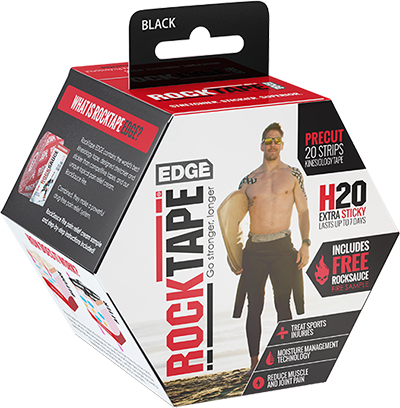 Find your edge with RockTape Edge - the most advance kinesiology tape system. 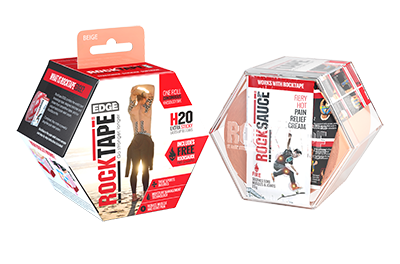 RockTape Edge contains the world’s best kinesiology tape, designed stretchier and stickier than competitive tapes, and a sample packet of our unique topical pain* relief cream, RockSauce Fire. 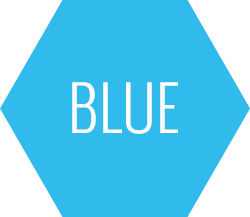 Combined, they make a powerful pain* relief system. Made with our best adhesive. 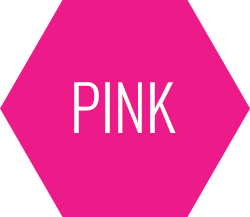 Hypoallergenic, zinc and latex free. 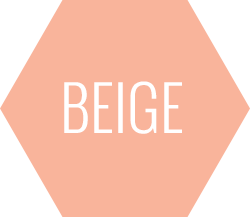 Wear Edge with confidence. 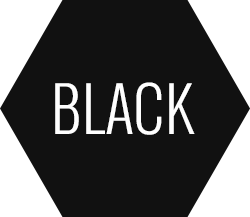 Specially treated fabric repels water and prevents absorption. Swim, sweat and get dirty. A free sample of RockSauce Fire is included with every roll of Edge, for powerful pain* relief on the go. 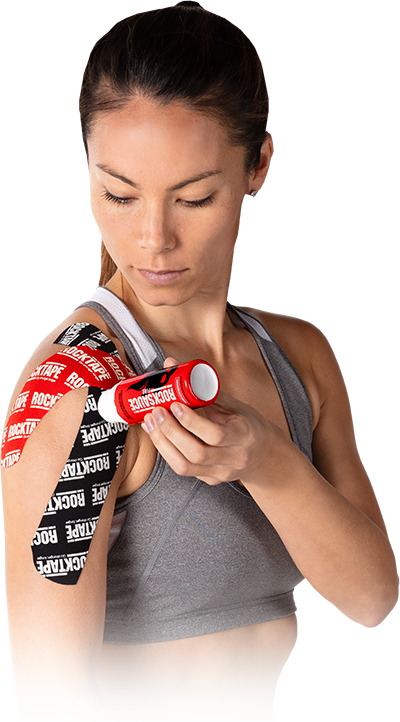 You can grab your own roll of RockTape Edge online, direct from RockTape.